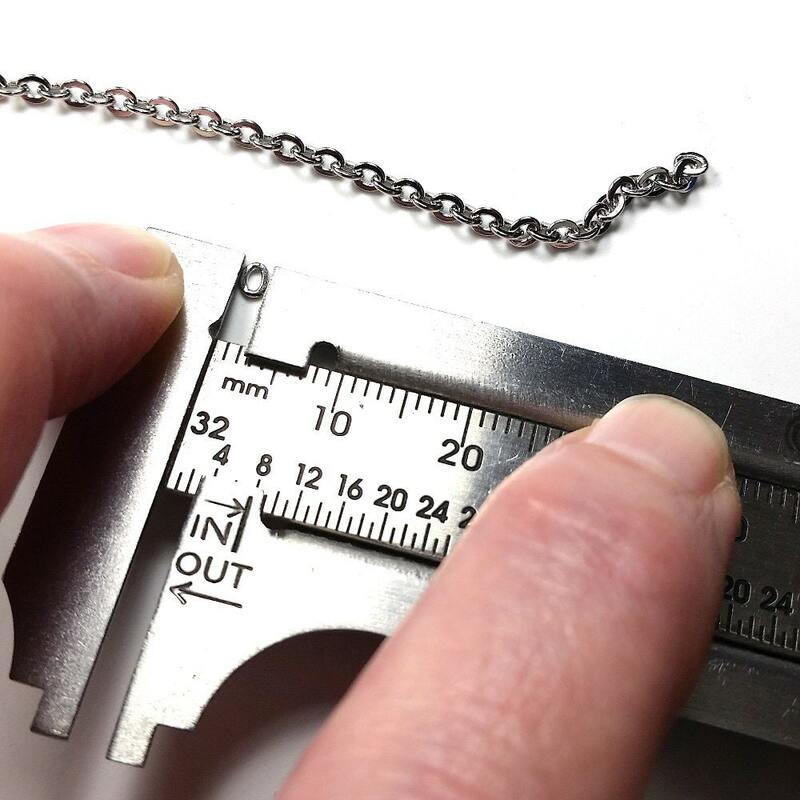 Lovely, fine, yet strong stainless steel chain. These links are flattened, giving the chain a nice sparkle. It is very strong despite being so fine. I tried to break it and could not. 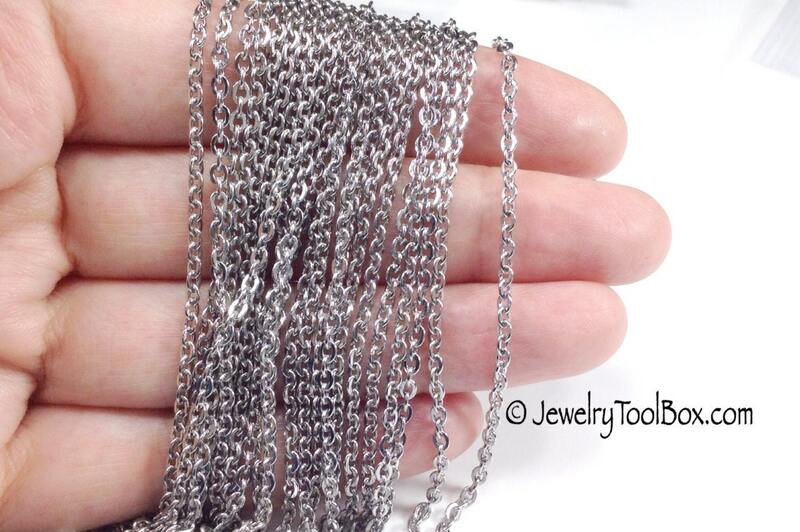 This is great chain for a small pendant or to use in earring designs. Use it to make necklaces, bracelets and as an earring component. 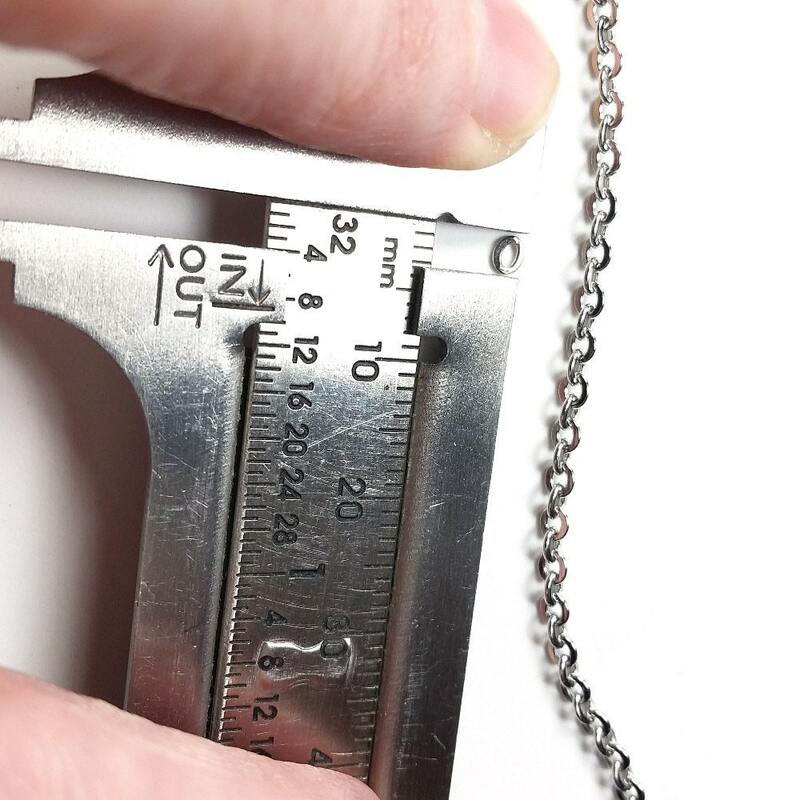 Each oval link is approximately 3x2.5mm in 20 gauge. 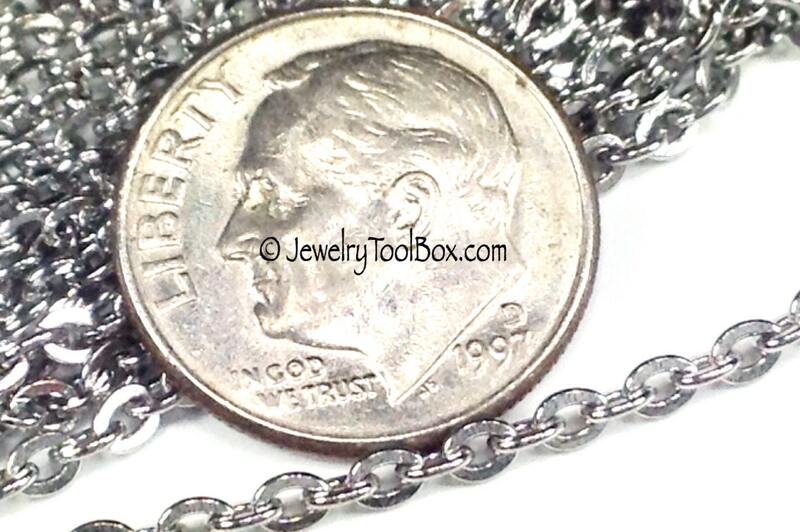 This chain is made of oval links that appear to be soldered closed however the manufacturer states they are open links. I tried to find where the links open but it was difficult and I could not find it in 9 out of 10 of the links I tested. Where I did find it in one it was under 5X lighted magnification. I tried to open it and could not. The bottom line is it may or may not be soldered but you will have a hard time finding an opening. It is a silky smooth chain. Made of 316 Stainless Steel, very hypoallergenic! Corrosion resistive, it will not oxidize on you! All the grades of stainless steel in this shop are SURGICAL STAINLESS STEEL quality. See the Shop Announcement for more information. Cut it to your desired size using heavy duty cutter. Remember to wear eye protection while cutting the chain. 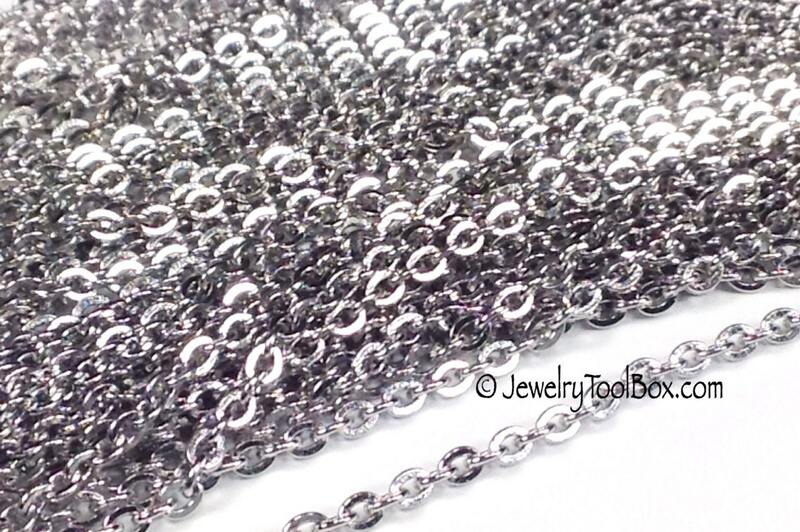 Beautiful high quality chain. Perfect for delicate pendants. Will purchase again in the future. nice chain and excellent seller! Very eye catching easy to work with but still strong chain. Super pleased, though that should not be a shocker from this shop. I've been ordering for quite some time and am always pleased with the quality of goods, packaging and quick service. Thank you! !